A carry deck crane is a small 4 wheel crane with a 360 degree rotating boom housed in the center of the machine. In addition to the rotating boom, the carry deck crane also houses an operator cab at one end underneath the boom. The rear section of the carry deck crane contains the engine. The area above the wheels is a flat deck, ideal for loading and moving materials around a job site. Carry deck cranes offer high power for their smaller size – however the main things these cranes offer are versatility and maneuverability. Carry deck cranes are one of the premier options for many job sites. These cranes are extremely versatile in the tasks that they can accomplish. Ideal for lifting materials that require compact low profile cranes that can simultaneously maneuver in tight spaces while clearing overhead obstacles. Carry deck cranes typically come outfitted with fully hydraulic controls for extremely smooth and precise operations. With weight capacities upwards of 15 tons, and pick up and carry weight capacities of over 9 tons on certain models, you can imagine why carry deck cranes can be so useful on the job site. What are carry deck cranes used for? So what are carry deck cranes used for? Being a smaller 4 wheel crane with a 360 degree rotating boom housed in the center of the deck, a carry deck crane has a wide variety of uses. Arguably its most important use is the ability to transport materials around the job site. With the smaller stature of the carry deck crane, they are easily able to hoist large amounts of material in tightly confined spaces. This material can also be loaded onto the deck of the crane itself directly, and moved by the crane to another location on the job site. With its ability to navigate confined spaces, transport and hoist large amounts of material, and general ease of operation, a carry deck crane is a welcome addition on any job site. As with any heavy machinery safety is of the utmost importance with a carry deck crane. Carry deck crane operators will need to be certified to be compliant with OSHA rules. Certifications can be either accredited by a crane operator testing organizations such as the National Commission for the Certification of Crane Operators (NCCCO) or qualified through an audited employer program. For an in depth look at ways to improve overall workplace safety, check out our Safety Blog Post here. If you still have any questions regarding the safety, applications, or nature of a carry deck crane, leave us a comment or contact us directly. 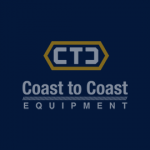 We would love to hear from you and offer any help and guidance we can to make sure you are set up with the right equipment for any job that are you are working. Be sure to check out our full selection of carry deck cranes and other equipment as well!